Francis Drilling Fluids is proud of its employees. Our growth and long-term success would not have been possible without the commitment and hard work of our people. Today, many of our core processes are supported by personnel that have demonstrated their loyalty to our company over the years and have contributed their energy, ideas and their enthusiasm for our work. We believe that this allegiance and dedication are the source of our competitive edge and the foundation for our future. 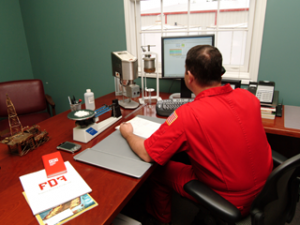 More important than tenure, Francis Drilling Fluids utilizes only those employees that are professional and skilled in their field, and focused on safety objectives. Employees receive training to enhance personal skills along with required safety training. At FDF, we know that our work is only as good as our people and our people are only as good as our willingness to invest in their development. It is this philosophy that has helped us retain some of the best people in this business.